Discovery Channel is headed back up north. 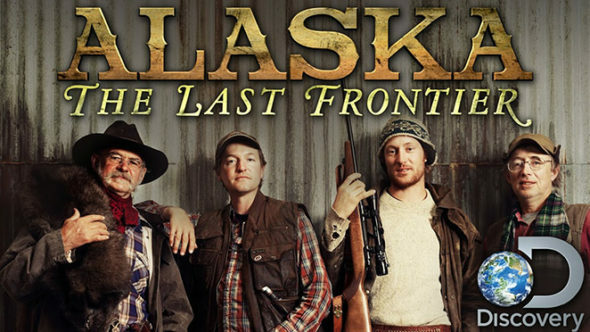 Recently, the network announced season eight of Alaska the Last Frontier will premiere in October. The docuseries follows the Kilcher family, who have lived in the Alaskan wilderness for more than 80 years. Season eight of Alaska the Last Frontier premieres on Discovery Channel on October 7th at 9 p.m. ET/PT. (Los Angeles) – For more than 80 years, Yule Kilchers homestead legacy has survived in the Alaskan wilderness on perseverance and commitment of his family. This past year, the Kilchers endured severe weather conditions, damage to the homestead and unexpected setbacks, but with spring around the corner, the family is gearing up for new opportunities and fresh adventures. The new season of ALASKA THE LAST FRONTIER premieres Sunday, October 7 at 9PM ET/PT on Discovery Channel. What do you think? Have you seen Alaska the Last Frontier? Will you watch the new season? More about: Alaska: The Last Frontier, Alaska: The Last Frontier: canceled or renewed?, Discovery Channel TV shows: canceled or renewed? We have enjoyed the show for years. Hope it continues. Will definitely be looking forward to a new season! Love Alaska The Last Frontier!!! Yes!!! I will watch The Last Frontier!! Love it!! The program focuses on cattle ranching and gardening/canning/plowing/construction. There is no subsistence living by these families. They have 200 head of beef cattle they can slaughter to eat or drive into town for a Dairy Queen. Can’t touch the real dramas about Alaska. I do NOT recommend this series. This show is a down to earth show. Great entertainment, wonderful wildlife and great to watch without the curse words. Or at least they were not said aloud. Renew them for another season and another season. What wildlife? Cows? Otto swears like a foul mouthed truck driver. Hate this show. So fake and boring. How many animals has to die? This family is rich anyways and life they show in this series is not real. They are running out of ideas and just repeat same things over and over. This need to stop!!! shooting a black bear on the beach is just f–ked up twit should be jailed! Spare me the reoccurring, boring cattle drives! So pleased that the show will return !!! One of my favorites.